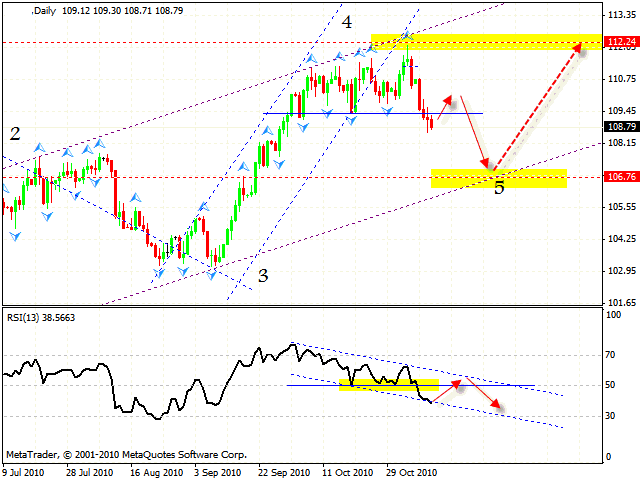 HomeFor ClientsAnalyticsForex Analysis & ForecastsForex Technical analysis and forecastsForex Technical Analysis 2010/11/11. EUR/USD, Euro Index, GBP/USD, USD/CHF, NZD/USD, AUD/USD Forecast FX. Forex Technical Analysis 2010/11/11. EUR/USD, Euro Index, GBP/USD, USD/CHF, NZD/USD, AUD/USD Forecast FX. 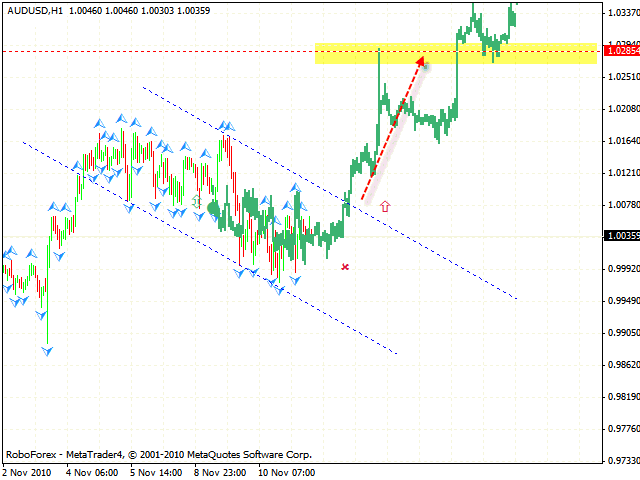 According to eurusd forecast we have two different scenarios at the moment. The first is the following: the price will test the support level, probably hit it and move upwards to the resistance level in the area of 1.4140. The second is: the support level of 1.3710 will be broken and we should expect a descending correction to the level of 1.3470 where the 5th point of reference is formed. 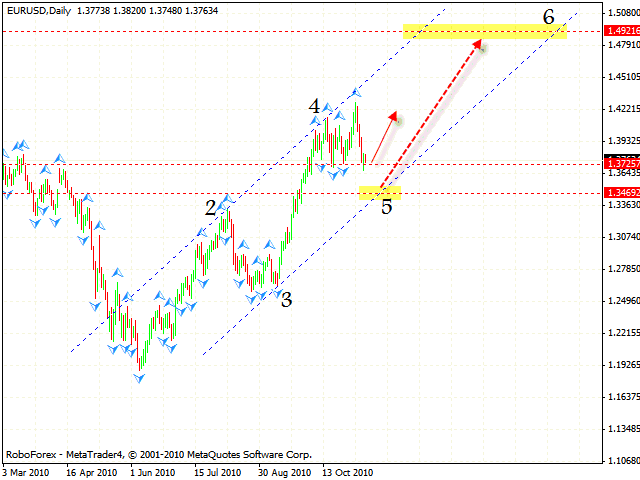 From this level one should consider buying Euro with the target of 1.50 during long-term period. At the hourly online forex chart we have “head & shoulders” reversal pattern forming with the target in the area of 1.3980. 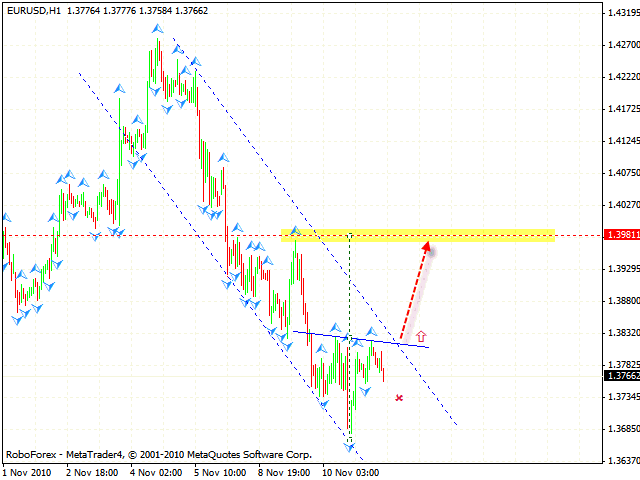 One can try to buy the EUR/USD currency pair only after the neckline is broken. The stop must be below the level of 1.3720 where the second shoulder is formed. Euro Index also indicates a possibility that the EUR/USD currency pair will move upwards. The RSI indicator is testing the channel’s lower border, we should expect the price to hit it and move to the upper one. Then we will probably see the pair falling down into the area of 106.76 where the 5th point of reference is formed. The GBP/USD currency pair is moving according to gbpusd forecast. 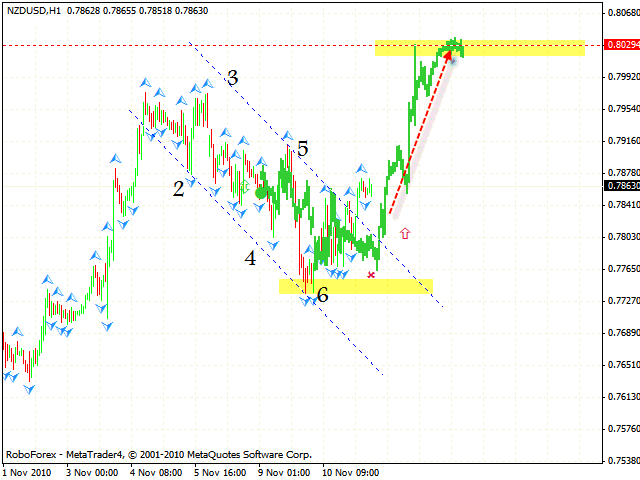 At the moment one can try to increase the amount of long positions with the target in the area of 1.6600. The stop must be below 1.6090. But if the price moves down, one should close long positions. 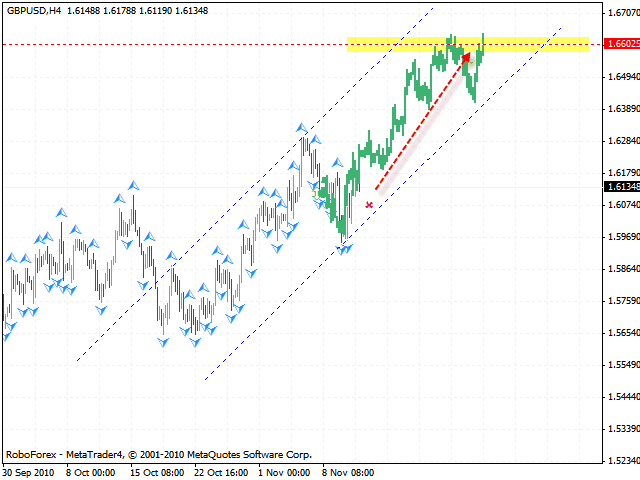 Judging by forecast usd chf you should try to sell the USD/CHF currency pair only after the rising channel is broken. The stop must be hidden behind local maximum. The target of the descending movement will be the area of 0.9366. 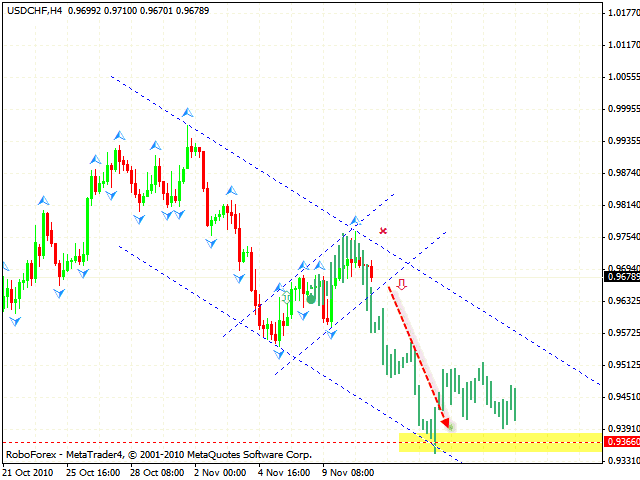 As it seen from nzdusd forecast New Zealand Dollar has left the descending channel and defined the area to buy the pair. One should open long positions near the descending channel. The closest target of the growth will be the level of 0.8030. The stop must be below 0.7765. According to aud usd analysis you should consider buying the AUD/USD currency pair only if the price leaves the descending channel. The target of the rising movement will be the area of 1.0285. The stop in this case must be hidden below 1.0010.